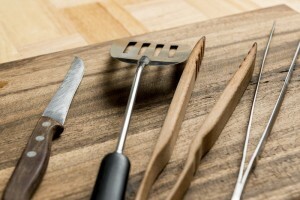 For apartment dwellers, there are great grill options for summer entertaining! member of a wholesale club, you can take your empty tank there to fill it cheaper. If you’re a traditionalist when it comes to your BBQ food, this is the grill for you!  They usually need quite a bit longer to heat up properly. likely to be allowed by your rental community.  The only fuel required is an electrical outlet. Let Harborside Village Be Your Apartment Home! Twitter, Pinterest, Google+, and YouTube! This entry was posted on Wednesday, June 21st, 2017	at 7:09 pm	. Both comments and pings are currently closed.